National-religious rabbinical and women's organizations join forces to create new program to teach women to be kashrut supervisors. 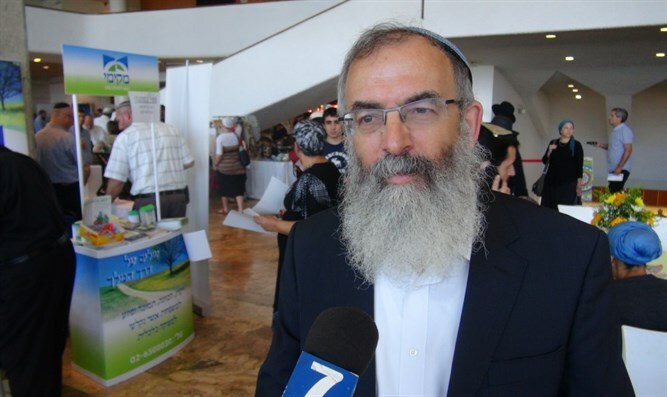 The Tzohar rabbinical organization and the Emunah women's organization announced announced that they were launching a program to train women to be kashrut supervisors, the Jerusalem Post reported. The course will consist of both basic kashrut education and also a secondary stage to extend into the more complex aspects of properly preparing kitchens for intense food preparation and other more intricate issues connected to kashrut. Topics to be covered include “kashering” of meat, removing bugs from vegetables, technological challenges in food preparation and other issues kosher supervisors will confront in their careers. Emunah has run programs to train female kashrut supervisors, but says that its new partnership with Tzohar will allow it to reduce the cost of the coוrse and to expand its appeal to a wider cross-section of Israeli society. Following the course, participants will be eligible to take the Chief Rabbinate's kashrut supervisor exam and if they meet the requirements, to serve in any restaurant which is under the supervision of the Chief Rabbinate. The Chief Rabbinate originally opposed allowing female kashrut supervisors, but a 2013 Supreme Court ruling declared that women must be allowed to become kashrut superviors if they meet the qualifications. American Torah Sage and world-renowned halakhic decisor (posek, ed.) Rabbi Moshe Feinstein zt"l allowed a widow whose husband had been a kashrut supervisor to take his place. However, very few women are currently working in the field of kashrut supervision.